James Peterson Sons Construction has in-house 3-Dimensional computer modeling capabilities to help us get more precise job quantities as well as the newest GPS input technology. 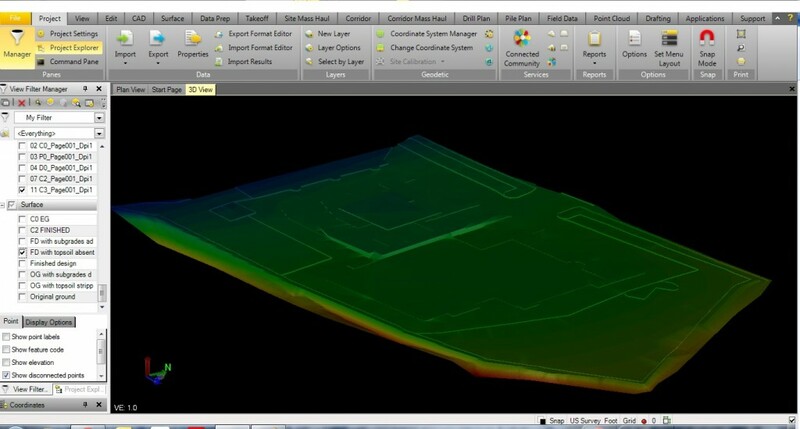 With our GPS – guided input, we can model your project on our computers. This allows us to find exact cut/fill measurements– where to dig, how much to dig, and how much to fill. We can also measure exact quantities of utilities and calculate earthwork material hauling. This gives us the ability to get the job done faster and more accurately — which saves you time and money.